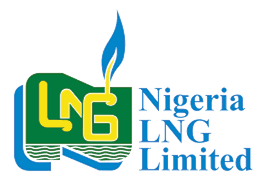 NLNG has been the most successful investment in Nigeria’s history. To date, The Nigerian Liquefied Natural Gas Limited NLNG has paid to the Federal Government dividends in excess of $15bn and taxes in excess of $6.5bn. No other investment Nigeria has made has been so successful or profitable..put this in perspective, Nigerian tax payers are subsidizing the loss making National oil company NNPC…..
NLNG has been a money spinner and the Federal Government of Nigeria was smart to retain equity in NLNG owning 49% of NLNG. This ownership translates to not just taxes but dividends as well. As part owners of NLNG the FGN received dividend, what did it do with those dividends paid in dollars? The divided were reinvested via an (investment) account and used it to reinvest in NLNG Trains (expansion) 3 to 6 without recourse to the Federal Government. in effect, Nigeria used the proceeds from her dividends to grow NLNG and retain her 49% Share…. This was unlike the NNPC Joint Ventures where NNPC was unable to meet cash calls….and allowed Production Sharing Contracts which reduced Nigeria fiscal share. However all that changed when NLNG went into new “management” in 2015….we are now being informed that the NLNG dividends have been spent on importing PMS to sell at a “subsidy” to Nigerians…..almost $1b gone. Recall the Buhari Administration took NLNG dividends about $2.1b (N413.7bn) to the Federation Account and shared to State Governments to pay salaries in effect, converted the use of NLNG dividends from Capital to Recurrent Expenditure. The implication of using NLNG dividends to payb salaries will be felt in coming years…Should NLNG expand, Nigeria will have to borrow or sell equity to invest, Nigeria has already earmarked the oil and gas sales revenues to pay debt and salaries….She has now committed the NLNG proceeds to pay salaries as well.